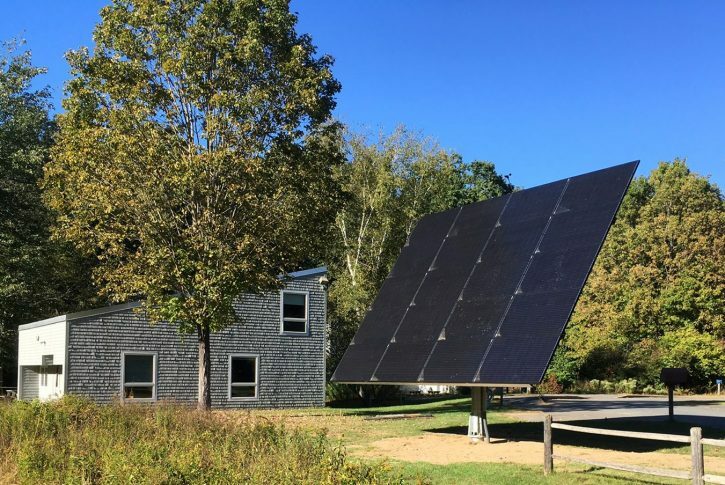 A new, tilting, rotating solar panel is going online at Arcadia Wildlife Sanctuary in Easthampton and Northampton. Like other photovoltaic (PV) panels, it generates clean, renewable electricity from sunlight. But unlike other static arrays, this panel uses a tracker that follows the sun across the sky. It adjusts to the height of the sun above the horizon as it changes during the day and throughout the seasons, harnessing 45% more power than fixed panels. Statewide, Mass Audubon generates more than 37% of electricity from solar, and we purchase the rest of what we need from renewable sources. With this new panel, Arcadia will generate even more electricity than it uses, feeding the excess back into the electrical grid. That reduces the need to generate electricity from sources that emit heat-trapping greenhouse gases into the atmosphere. 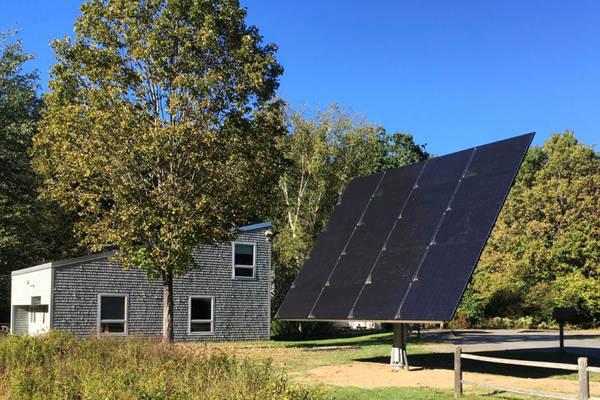 This particular solar panel at Arcadia highlights the importance of donations to Mass Audubon’s mission. Contributions from two exceptionally generous community members—Brian Adams and Morey Phippen—and Northeast Solar made this possible. The care and generosity of others is what empowers us to address climate change and continue to set an example for the rest of New England. Sanctuary Director Jonah Keane contributed to this post. This entry was posted in Going Green and tagged arcadia, climate change, cllimate, solar on October 11, 2017 by Daniel Brown.